Autumn how I love thee!!! Warm jumpers, scarves, dresses with boots, it’s my favourite season. 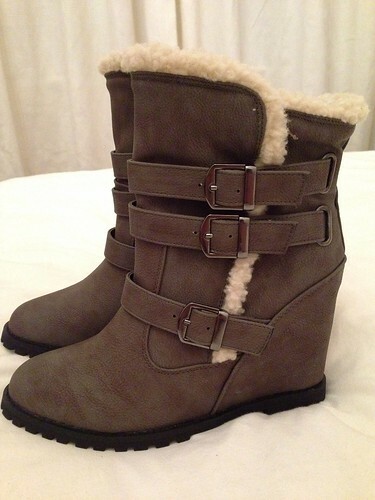 I bought these beauties yesterday, I think they will look great with jeans, cosy dresses or leggings. I’ve been looking for grey boots to go with my many navy dresses for a while so I had to snap these up – a wedge heel, the right colour and a great price at just under €45. 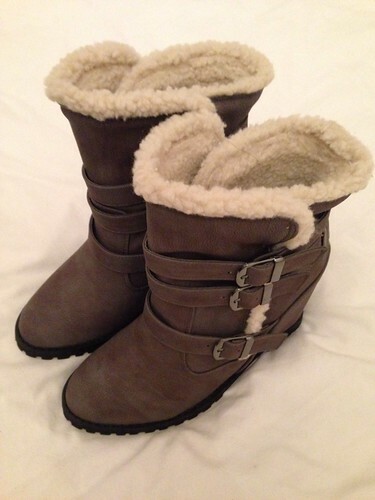 This entry was posted in Fashion and tagged boots, Fashion, new look. Bookmark the permalink.